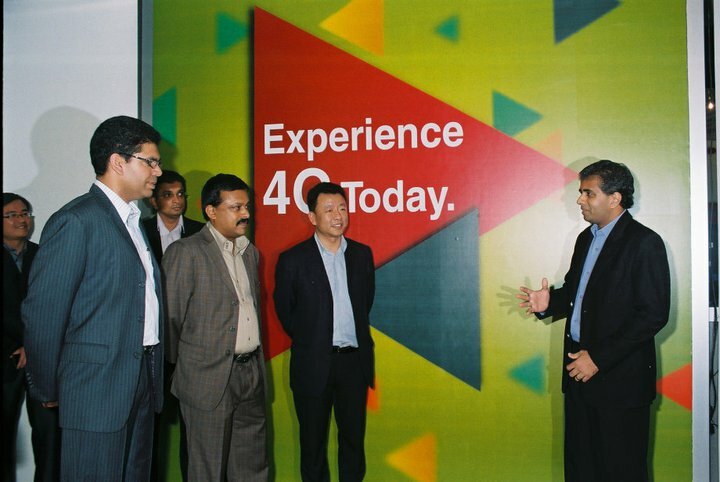 Dialog Axiata, announced the commencement of its 4th Generation LTE pilot Network in the Colombo. 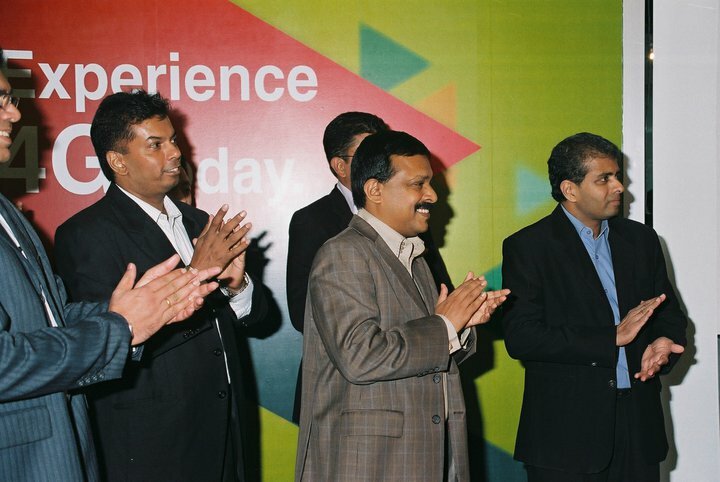 Picture shows Director General of the Telecommunications Regulator Commission of Sri Lanka (TRCSL) Anusha Pelpita, along with Dialog Axiata’s COO, Supun Weerasingha, officiating at a demonstration of LTE network capabilities. The pilot network will initially cover several key zones within the city and is billed to be the first exposition of a 4th Generation LTE network in the South Asian region. 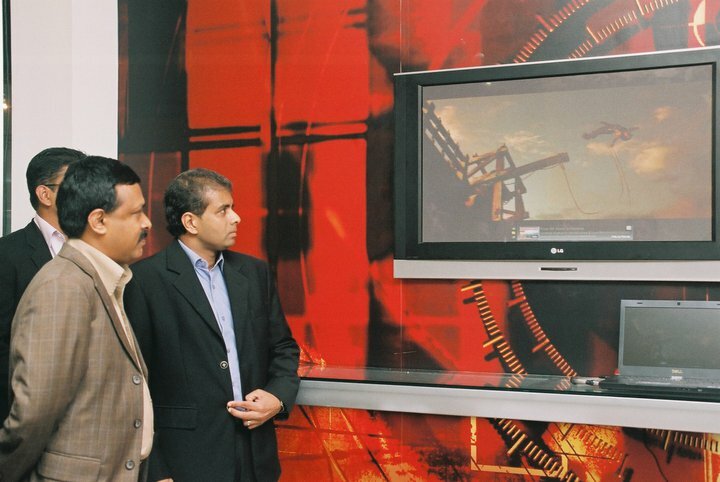 Director General of the Telecommunications Regulator Commission of Sri Lanka (TRCSL) Anusha Pelpita officiated at a demonstration of LTE network capabilities featuring the achievement of data speeds in excess of 100 MBps in indoor demonstration mode, and 40-50 MBps in outdoor mobile usage scenarios within the city. Applause from the audience as the download speed exceeds 100 Mbps. Youtube HD experience without any buffering. & Mobile Broadband, Navin Pieris. 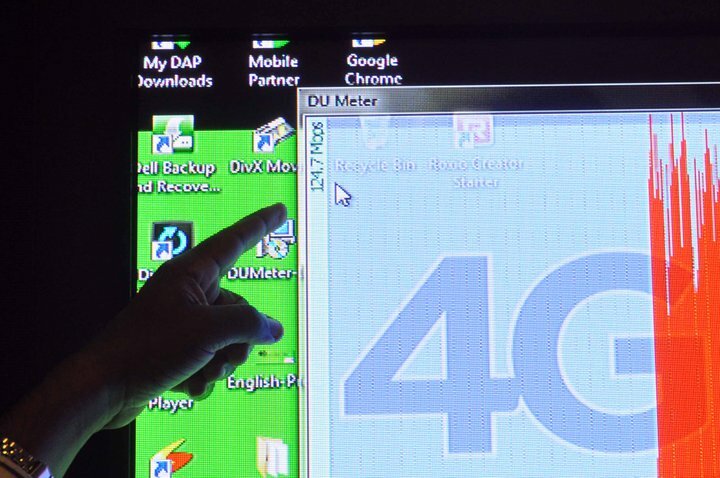 DB: What exactly is 4G? traffic applications, online multiuser gaming, movie streaming, etc..
DB: What does LTE mean? excellent support for browsing, VOIP, roaming and other IP based services. will be less. 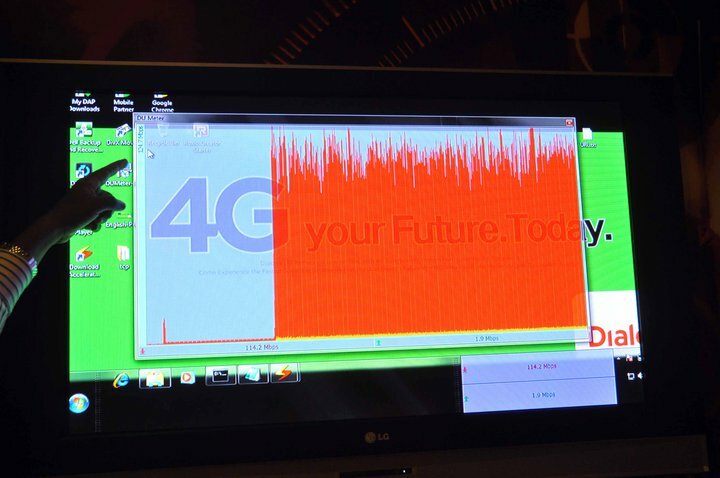 Dialog has been able to demonstrate speeds above 100Mbps. DB: How current is this technology? NP: It is the next evolution of mobile data technology. approximately 36 networks are tipped to be commercially live by 2012. DB: What are the benefits of using 4G? simplification of roaming. Therefore, all applications will perform much better. NP: LTE is not commercially available in Sri Lanka just yet. There are a few challenges, such as necessary spectrum allocation, to be met. Colombo Fort, Colombo 2, 3 and 4, and Narahenpita. dongles that support 4G/LTE readily available at the moment? allocated in Sri Lanka to ascertain device-compatibility. existing 3G service. What do you have to say to these customers? are in progress. We are doing our best to minimise any disruption. DB: What is the next step? Where do we go from here? World popular term GPRS stands for General Packet Radio Service. Dialog GPRS can be accessed via EDGE (less than 32 kbps), UMTS (384 kbps) or HSPA (up to 14.4 Mbps) depending on your handset’s capability. Normally when you insert your SIM card to a new handset Dialog automatically detects your handset modal and sends you GPRS, MMS and MyTV settings automatically. But all phone models are not supported with this function. If so you can set up your handset to GPRS, MMS or MyTV manually. Dialog has 3 different access points. Earlier they were used to provide different services to different types of customers as mentioned below. Proxy port can vary from 8080 depending on your phone modal. Setup all the settings as same GPRS settings. Use http://mms.dialog.lk:3130/mmsc as the message sever address. Set up any other requested settings as given in GPRS settings. If you are using a Sony Ericsson phone, select your previously setup GPRS profile as Connect using. You will be charged 1 cent per 5kb block for GPRS.